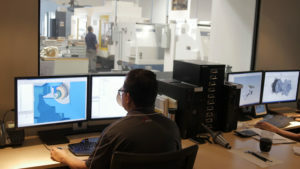 In its 30,000-square-foot facility, Metri-Tech manufactures ultra-precision, high-volume critical components for the aerospace, medical, defense and commercial industries. 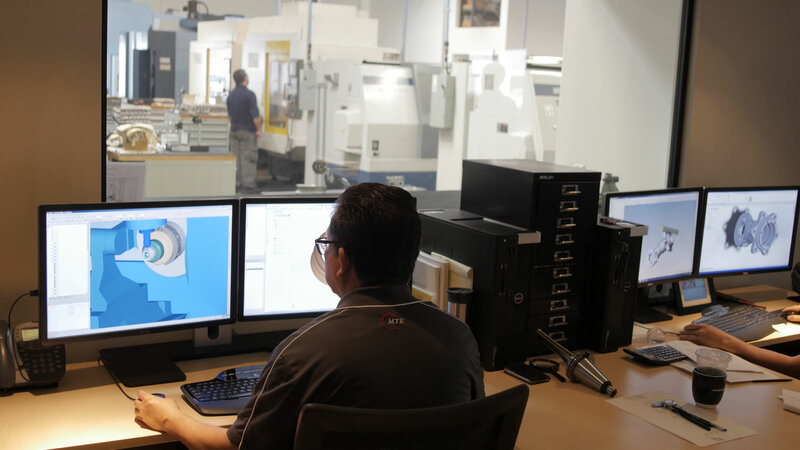 Metri-Tech Engineering, Inc., in Huntington Beach, CA, isn’t your typical job shop —that much is evident from the company’s shop filled with automated production equipment, including a wall-mounted Live Scheduler, which resembles a six-foot tall iPad. 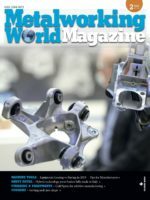 Hans Gratzer, Jr., COO / CTO of Metri-Tech and son of company founders Hans Sr. and Katharina Gratzer, developed the scheduling program to help his 38 employees better visualize what is going on in the shop at any given time and plan for their next jobs. It’s part of the company’s forward-thinking approach to automation.